To be honest both the end of 2017 and the beginning of 2018 haven’t been great. I was and am still sick.  However, that isn’t stopping me from sharing some social media and tech updates you should know about. Instagram Stories Coming to WhatsApp? : Facebook has started testing the ability to share Instagram Stories to WhatsApp. Facebook has previously stated that WhatsApp would remain independent of its other products. The move might signal yet another means for Facebook to redirect app users to its namesake product. Your Devices Might Be At Risk to Meltdown and Spectre: If you’re not one to update your computer regularly, now is the time. It has been discovered that many computers are at risk of one of two processor exploits that could make them susceptible to hackers. Software companies have started to offer patches to help minimize risks. Google Calendar to Get a New Look: Numerous Google calendar users have been invited to preview a possible new look in the last several weeks of 2017. Now, whether you like it or not, Google has announced that the new look will become permanent. The change will begin to rollout on January 8. Users can opt out of the automatic change until February 28, when all users be upgraded to this newest version. 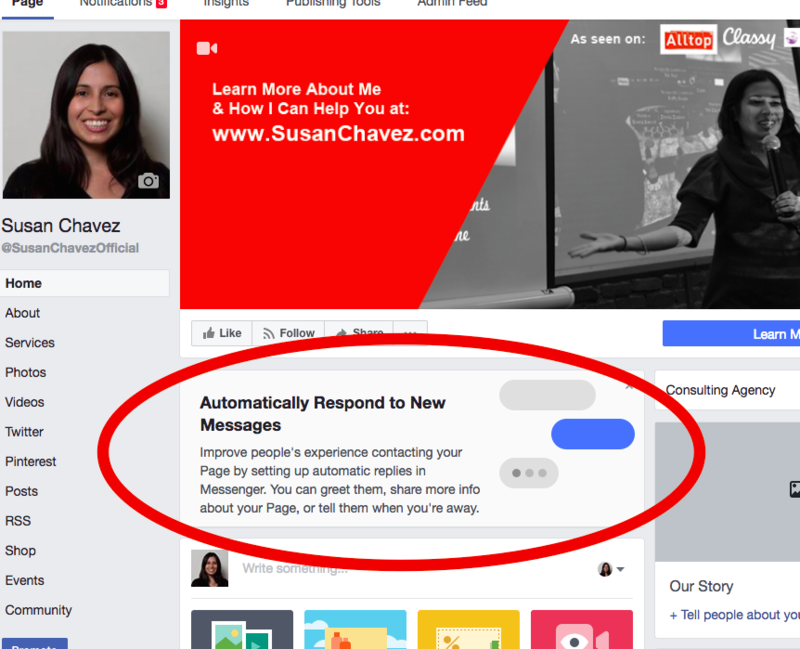 Facebook Reminds Page Owners to Use Messenger to Connect with Fans: Did you know Facebook Page managers can use Messenger to chat with fans? Well if you didn’t, you likely received a reminder from Facebook recently.